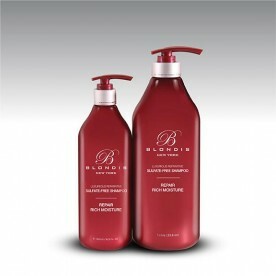 Blondis™ New York Luxurious Sulfate-Free Shampoo extends keratin and other treatments. It contains proteins which help protect hair from the dryness and aging, preserving its natural tensile strength and restoring damaged hair. It leaves the hair clean, moisturized with a superior shine. Color protection. For all hair types.